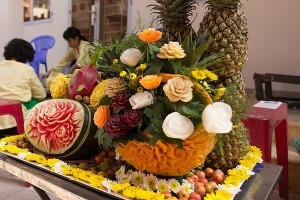 It is the most celebrated festival of the year, in Vietnam and also in most of the countries in the world. As you might already know, the most interesting part of every New Year festival is the New Year’s Eve. 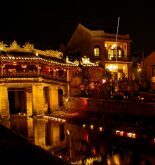 Because of the ancient buildings, rich cultured lifestyle, it is quite different to stay and celebrate Lunar New Year here in Hoi An. The fireworks display are smaller compared to the major cities like Ho Chi Minh city or Da Nang and it might be easier to get back home/hotel after the fireworks display due to a smaller population. 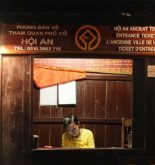 Thus, Hoi An is an ideal place for travellers who don’t enjoy the crowded, young atmosphere surrounded by skyscrapers in the New Year’s eve. After the night, the street would become pretty empty leaving a most peaceful ambiance for Hoi An tourists. Most of the activities, customs will be done by the locals. 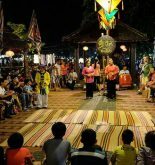 Besides, there will be dragon dance along the streets as a main public activity for the festival.